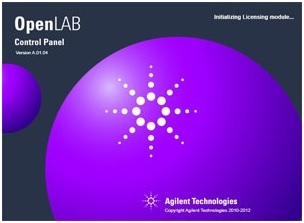 Control of Shimadzu’s Nexera and Prominence series by OpenLAB CDS EZChrom Edition is now available by adoption of Agilent’s RC. Net driver standard. Shimadzu LC control parameters are set through the Instrument Setup embedded in the OpenLAB software. These parameters are stored and are handled as standard OpenLAB method files so that the instruments are directly controlled by OpenLAB. Full system control, including autosampler control, uses OpenLAB CDS EZChrom Edition Method File, and data processing is integrated with OpenLAB CDS EZChrom Edition software so that the audit trail functions of OpenLAB CDS EZChrom Edition software are fully utilized. This gives you full confidence in the compliance of the system to regulations such as GLP/GMP and US FDA 21 CFR Part 11.